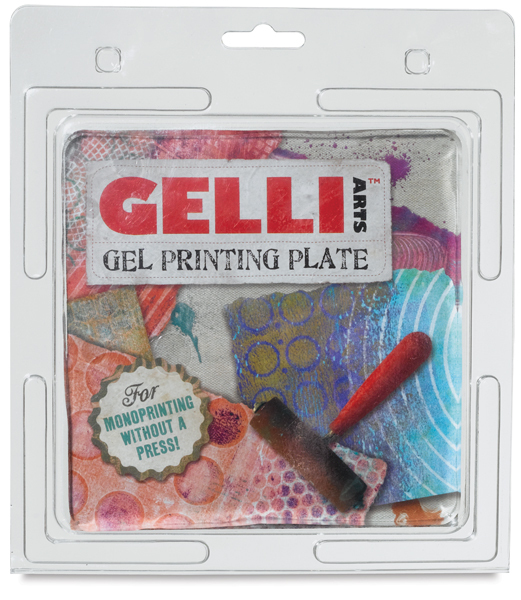 Flexible and easy to use, these revolutionary printing plates look and feel like a gelatin monoprinting plate — yet they're durable, reusable, and can be stored at room temperature. 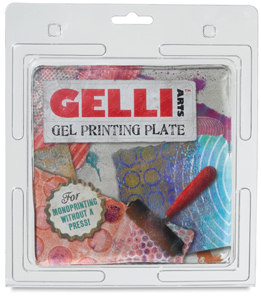 Gelli Arts Gel Printing Plates are ideal for mixed media art, cardmaking, Artist Trading Cards, and more. They measure 3/8" thick, and are easy to clean with soap-and-water, hand sanitizer, or baby wipes. The 3" × 5" plate is great for making tags and Artist Trading Cards. 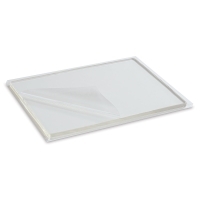 The 5" × 7" plate is the perfect size for cardmaking. 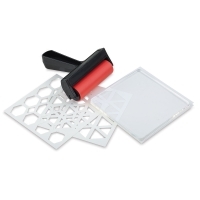 Student Printing Plate Kit — This kit includes one 5" × 5" printing plate (1/4" thick), a 4" roller, and two 5" × 5" geometric stencils. 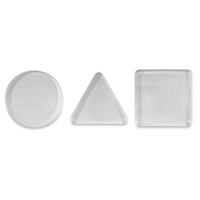 Mini Plate Class Pack — Ideal for teaching all levels and ages, these plates are non-toxic, latex-free, and silicone-free. 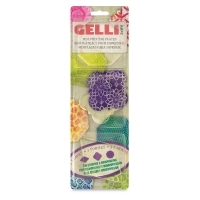 These sets contain 10 mini plates, 10 storage bags, five assorted stencils, and a comb. 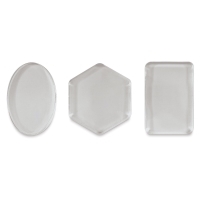 Choose from hexagon, triangle, square, and circle plates. 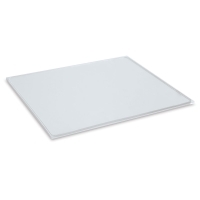 16" x 20" Plate — Make big, bold projects with this large-format printing plate. It's great for printing on yards of fabric and for large prints on paper. 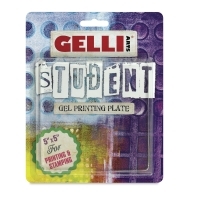 Student Printing Plates — Perfect for classroom and workshop use, these 1/4" thick plates are thinner, which makes them easier to transport and store. Buy them individually or in a convenient Class Pack. 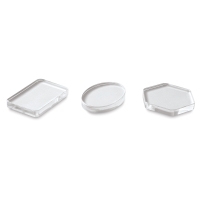 The plates in a Class Pack are separated by plastic sheets and can be stored in the box between uses. 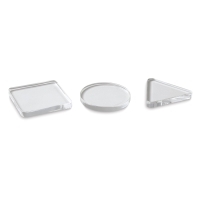 Mini Sets of 3 Plates — These plates measure 3" wide x 3/8" thick, perfect for printing and stamping on paper or fabric. 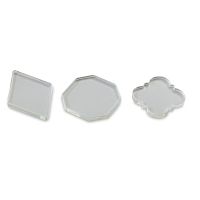 Choose from sets that include Round, Square, and Triangle plates; Oval, Rectangle, and Hexagon plates; or Octagon, Quatrefoil, and Diamond plates. 9" x 12" Plate — This plate includes a Mylar sheet with 1" grid lines to help with composition. It's perfect for creating bleed prints on A4 and classic letter size papers. 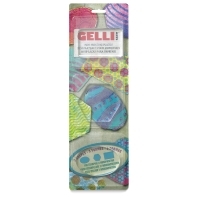 ® Gelli Arts is a registered trademark. 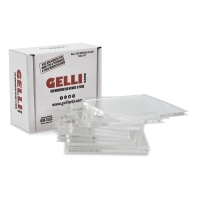 Printing Plate, 6" × 6"
This revolutionary printing plate looks and feels like a gelatin monoprinting plate — yet it's durable, reusable, and stores at room temperature. Because it's portable, you can use it at home, take it to the workshop, or even use it outdoors. Flexible and simple to work with, it's always ready for printing and can easily be cleaned with gel hand sanitizer or soap and water — then used again and again! 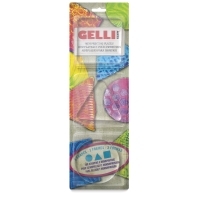 Try it for mixed media art, card making, quilt making and more. 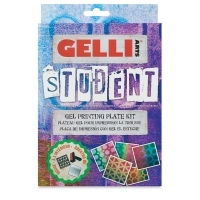 It's also a great, economical choice for beginning printmakers and students.